We have being helping property owners create, beautiful paved areas and driveways with our paving services since 1980. When it comes to carrying out paving services, design should be at the heart of the overall project. Creating beautiful designs can not just enhance your outdoor space, it can also help the sale ability factor if you ever come to sell the property. 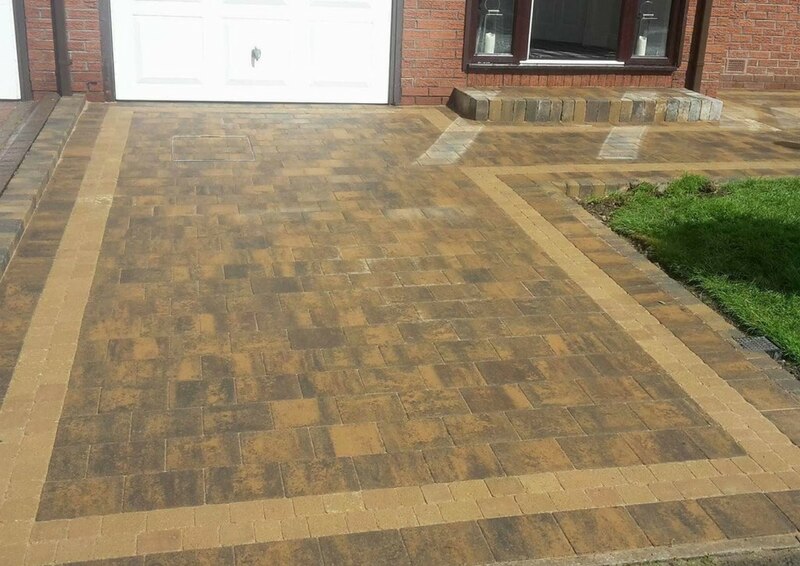 All the paving services we carry out, whether it is for a garden area or a driveway are created using Marshall’s Paving and Block Paving for Gardens and Driveways. 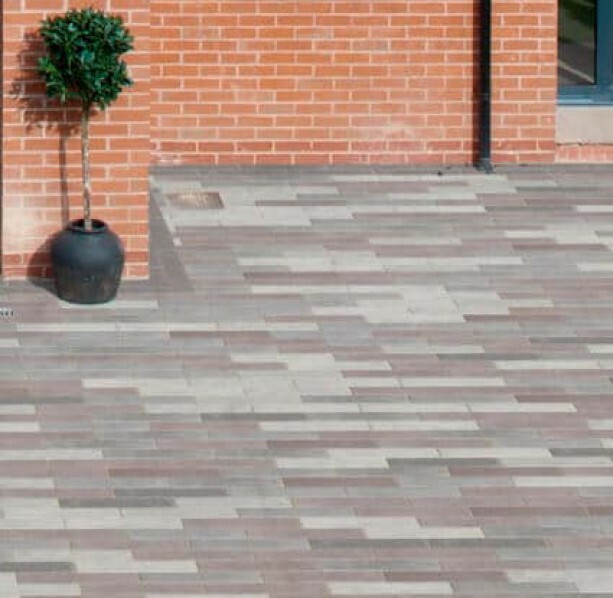 The reason we use the Marshall’s range of products is due to their proven quality of paving products, accessories and excellent product guarantees. Whether you are looking to create a new patio area or a feature area in your garden, by using matching circles and octant features. We can offer a huge choice of products, colours and designs. We offer a wide range of paving products such as; sandstone, natural stone, granite, limestone and slate. 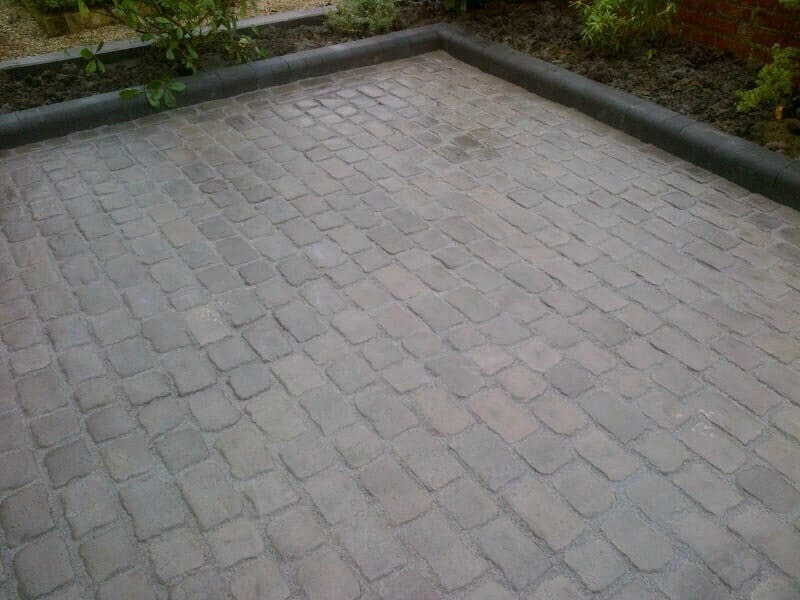 You can be assured at The Driveway Company, that we will have a suitable product to suit your outdoor area. This range has recently been launched as a low maintenance paving solution. The product can look great not just in your outdoor area but also indoors. It comes in a good range of authentic colours and different textures. There are 8 colours to choose from, this product offers both strength and technical consistency. These paving flags absorb very little or no moisture which helps provide exceptional stain resistance, in-turn allowing very little moss and algae to grown. Offering you the property owner minimal maintenance, when it comes to keeping your patio area looking stunning. With a beautiful contemporary styling and minimal maintenance, we can see this range being popular over the summer months. Achieve a premium driveway look with our fantastic range of products and matching kerbs, edging, circles and octant features. 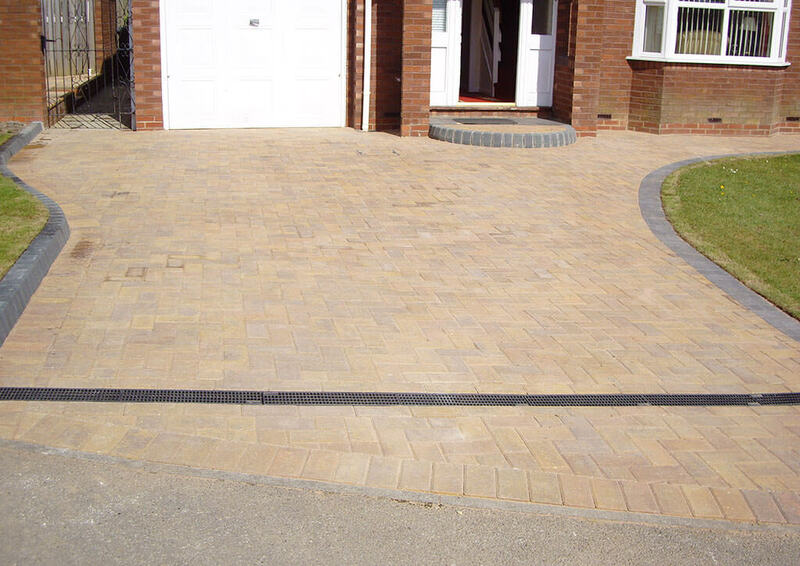 We offer a fantastic selection when it comes to the paving of your driveway. 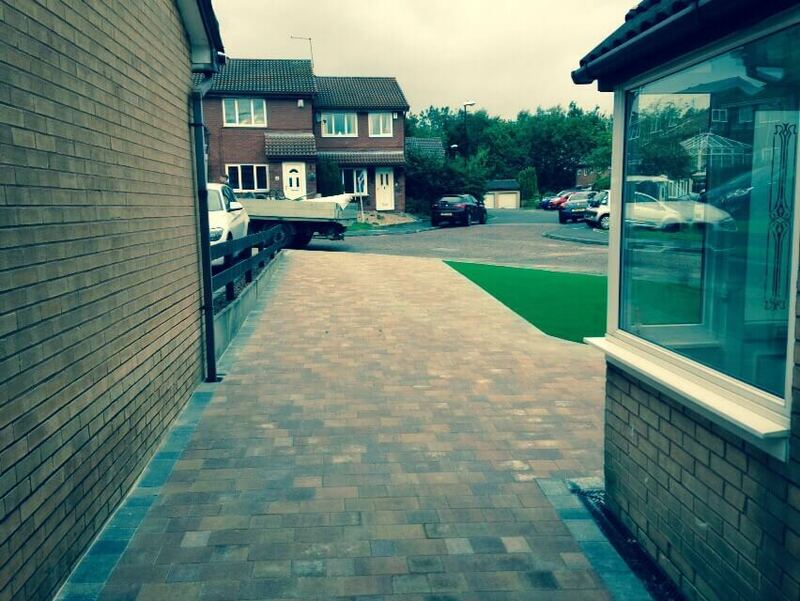 From natural stone setts, to concrete block paving we can totally transform the look of your driveway. If you are wanting to create a real premium natural stone look, the natural stone setts we install by Marshall’s can certainly create something a little different. With a number of different colours and finishes available we can find something to suit almost every home. The Drivesys Driveway Systems can help you achieve a realistic look of natural cobbles or stone on your driveway, the finished results look stunning. With most of the driveway paving we install, we offer coordinating edging and features to help totally transform the look of your driveway. This is a distinctive streamlined shape which has been created for a more contemorary look. 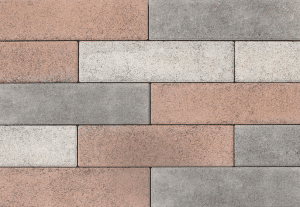 This range comes in a number of different colours, sizes and finishes, we are sure you will find a Driveline Metro Paving style and colour to suit your own individual property. Call us for a free no obligation quotation for your driveway or patio area. We have a huge amount of styles and ranges to choose from, our team area also on the Marshall’s Register of Approved Landscape Contractors & Driveway Installers for your complete piece of mind.